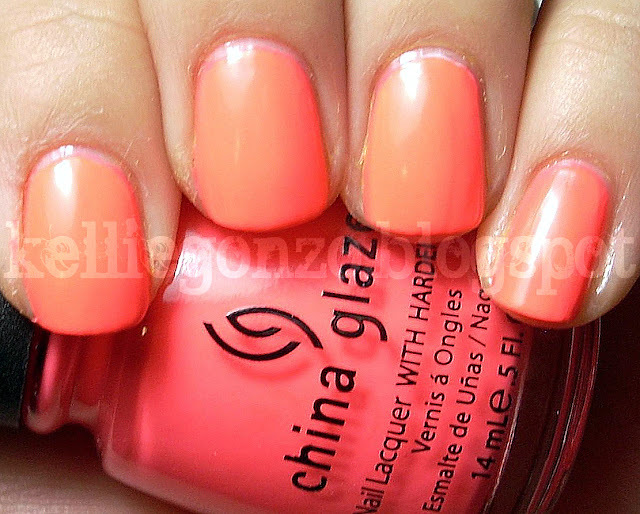 this is the polish i was actually the most interested in when i first saw pictures for the china glaze poolside collection, but was probably the least impressed with. don't get me wrong, flip flop fantasy is pretty great, but i was expecting...idk more? 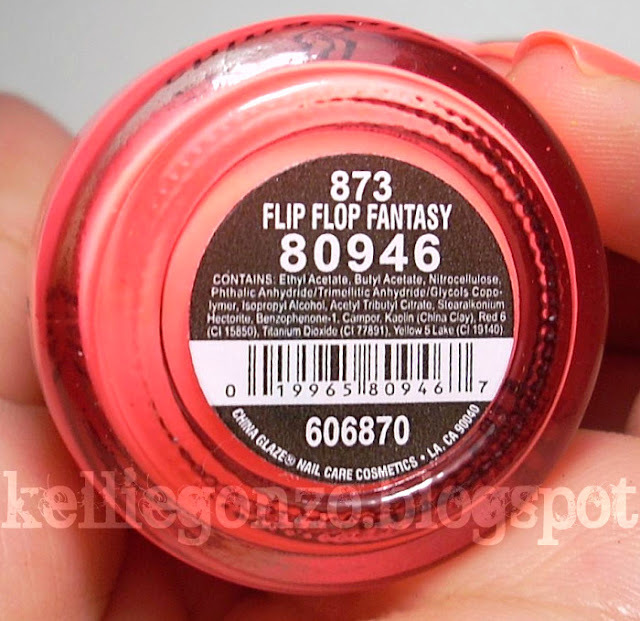 coral is still my favorite shade so i can't totally discount this guy and the pictures don't really do it justice, so maybe i need to give it another try. also, i don't think the color in these pictures is true to it IRL but it's the best i could do. it's not hardly as orange. this one really really day-glows so that is pretty dope. this is three coats. 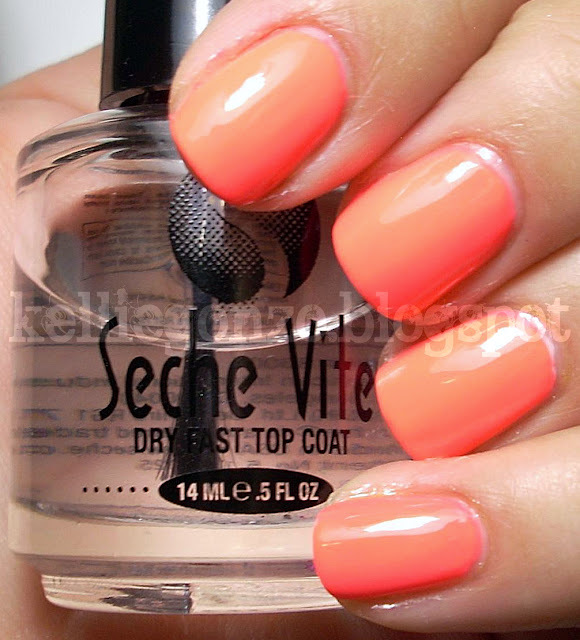 i believe i used a coat of white under the INDEX and RING fingers, like on the previous swatches from this collection for opacity differences, tho this one didn't really need it.